Brighton Center | A Community of Support | Salissa E.
Raising five children as a single mother is hard, especially while going to school. Over the course of time, Salissa took breaks from training in order to earn money to support her family. This caused delays in obtaining her GED and becoming a Medical Assistant but Salissa kept a positive attitude through all of these changes. Salissa kept studying and practicing for her GED. In 2017, Salissa faced another crisis. She was given notice from her landlord to leave her apartment. Searching for an apartment for a family of six was not an easy task. She would think she got somewhere, and then the apartment would get taken. Time had run out and the family had to leave their home. Salissa had friends willing to lend their couches and floors for her family. She had a Housing Choice/Section 8 voucher but finding a landlord that would take the voucher was not easy to find. Eventually she was able to find a home that took the voucher. However, Salissa had to get utilities turned on in the home, which required a large deposit. If her utilities were not turned on, then she would lose her home and voucher, ultimately meaning homelessness again. She reached out to the Family Development Specialist to discuss options. When no resources were available, together they submitted an application for emergency assistance funds. The application was approved and allowed her family to remain in their home. 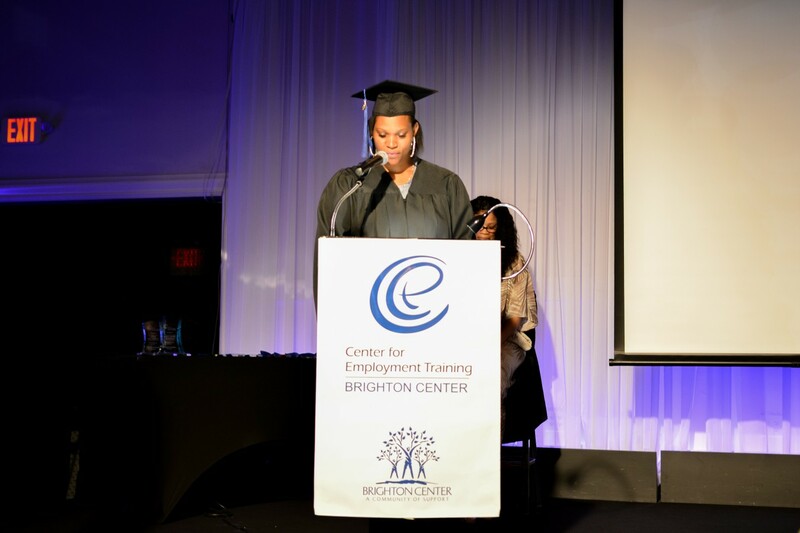 With housing stabilized, Salissa was able to return to training and focus on her goals from almost two years prior. With three out of four tests completed, Salissa needed to pass one more test to earn her GED. In November 2017, she passed the final test and earned her GED. With this first goal met, Salissa was able to turn her focus on becoming a Medical Assistant. Hard work and persistence pays off. In February 2018, Salissa achieved her goal and completed her MA externship in March 2018. Salissa applied for Medical Assisting positions and secured employment through St. Elizabeth Physicians. Salissa’s long journey has had ups and downs, but she has been able to work through many barriers and stay focused on her goals. Salissa’s next goal is to become a homeowner.